Being close to AlexanderPlatz is really good decision, Because with that U-Bahn & S-Bahn Station you can go wherever you wanna go easily. and having a balcony is what I really like. 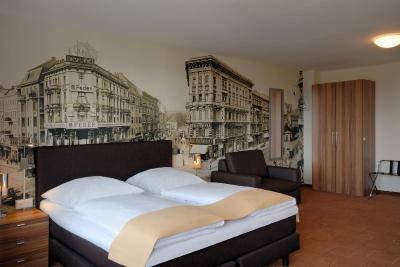 Room was clean, location is handy and walkable from Alexanderplatz. Nice place. Tram stop in front of the hotel. 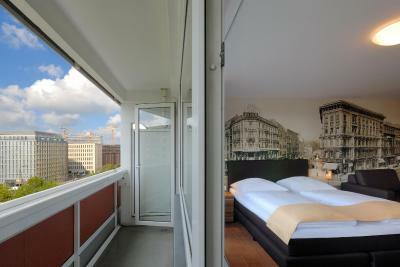 The rooms has a wonderful large window and balcony with a nice view as you could see the TV tower. 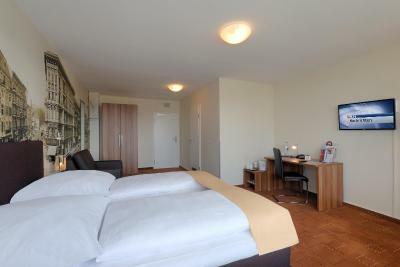 The room is clean with good heating system in the room and the bathroom. Service room cleaning the room and changing the dirty towels daily. I had problem with the Wifi connections in my room. However, I called the reception and the lady there kindly offered me another room with better Wifi connection. It was quite nice. I also like that in my room there was a large balcony. It is also nice that the hotel locates just near tram station. Staff was amazing. I was late for check-out and they cut me some serious slack. Then I decided to go back to the room to sleep another 3 hours and they made me a good deal. The room was big and comfortable. There was an electric kettle and a selection of tea provided in the room. 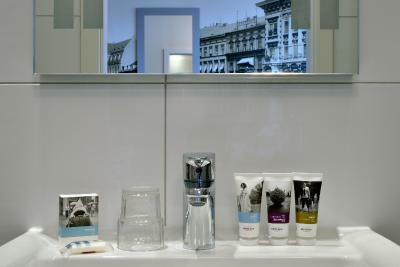 The bathroom was clean, and extras like a small body lotion, shower gel and shampoo have been provided, which is very comfortable. The shower was very spacious, on top of it. 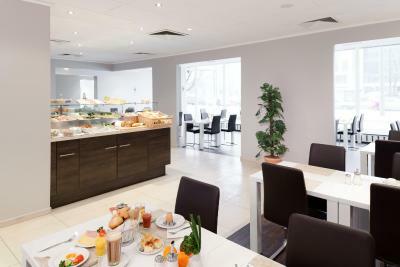 The breakfast buffet was very rich from cereals to warm options, and the staff was friendly and helpful, even adding a 2. breakfast. Location is good, better than a 3 Star hotel. They were nice to upgrade my room. The location of the hotel is excellent. The staff is very helpful. The room is wide and very clean. 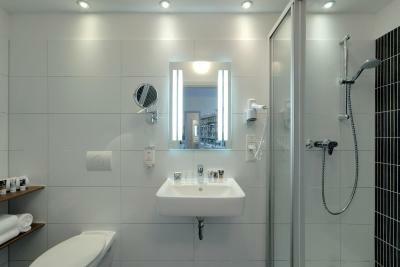 The bathroom is very clean too. I like the location because the tram connections can take you many places. Also close to place are many restaurants on Heckscher street. 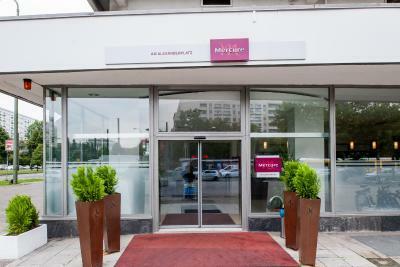 Mercure Berlin Alexanderplatz This rating is a reflection of how the property compares to the industry standard when it comes to price, facilities and services available. It's based on a self-evaluation by the property. Use this rating to help choose your stay! 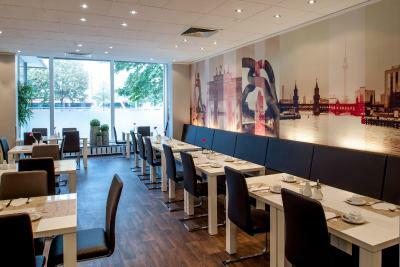 This 3-star hotel features large rooms and apartments, a 24-hour front desk and free Wi-Fi. 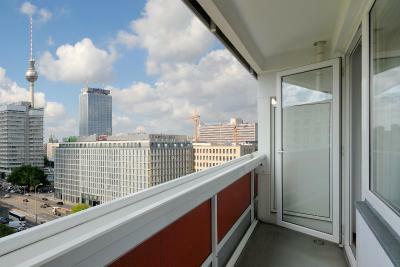 Alexanderplatz Square and TV Tower are a 10-minute walk away. 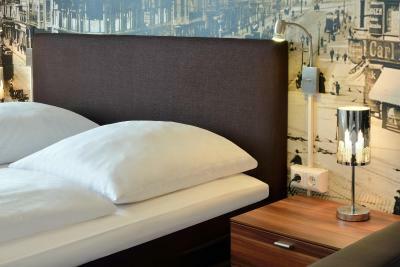 The Mercure Berlin Alexanderplatz has bright rooms with cable TV and a desk. The apartments feature a balcony. 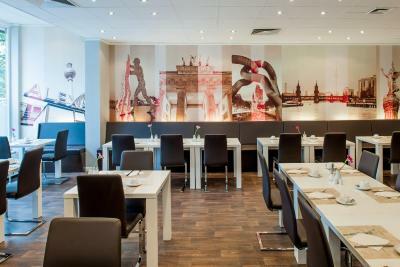 A range of dining and shopping opportunities are within a 10-minute walk of Mercure Berlin Alexanderplatz. 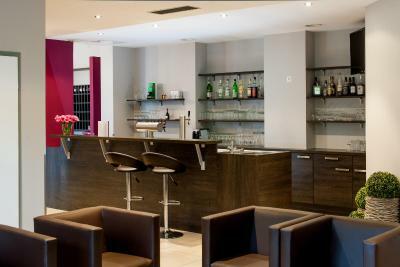 In the evenings, guests can relax with a drink at the hotel bar. 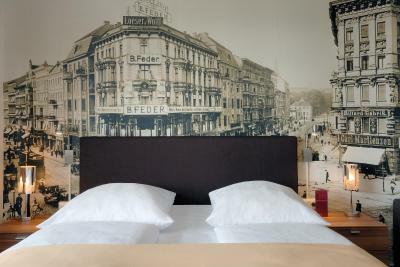 The scenic Volkspark Friedrichshain Park and the Alexa Shopping Center are both just a 10-minute walk from the hotel. 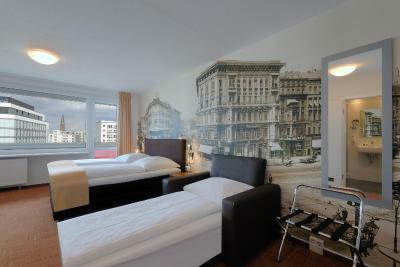 There is a tram stop right outside the hotel, which provides services to the famous Alexanderplatz Square in 3 minutes. From there, S-Bahn (light rail) and U-Bahn (subway) trains take you to all parts of Berlin. 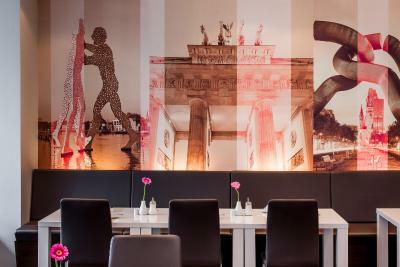 Mitte is a great choice for travelers interested in history, museums and monuments. 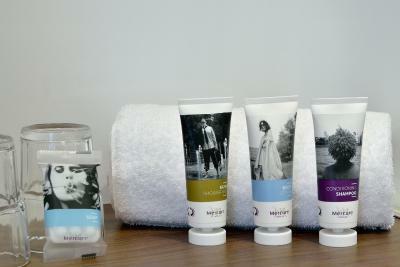 When would you like to stay at Mercure Berlin Alexanderplatz? 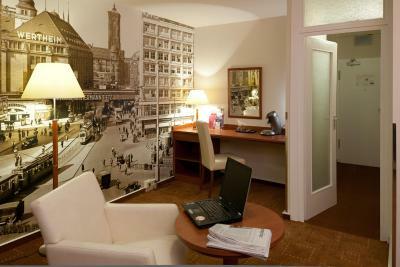 Warmly decorated room offering a work desk, cable TV and a private bathroom with a hairdryer. 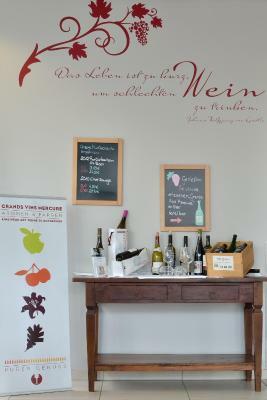 Public parking is available on site (reservation is not needed) and costs EUR 17.90 per day. 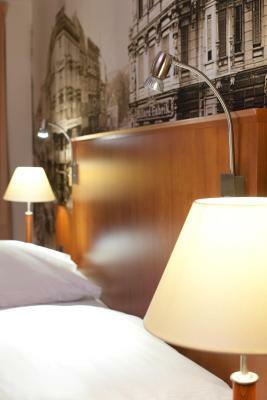 Warmly-decorated suite including a work desk, cable TV and a private bathroom with a hairdryer. It consists of 2 separate bedrooms. This double room has a balcony, cable TV and tea/coffee maker. Free! Wired internet is available in public areas and is free of charge. 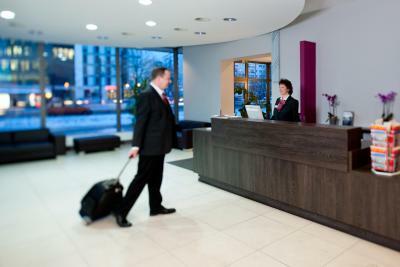 House Rules Mercure Berlin Alexanderplatz takes special requests – add in the next step! 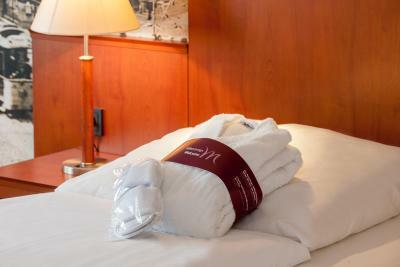 Mercure Berlin Alexanderplatz accepts these cards and reserves the right to temporarily hold an amount prior to arrival. 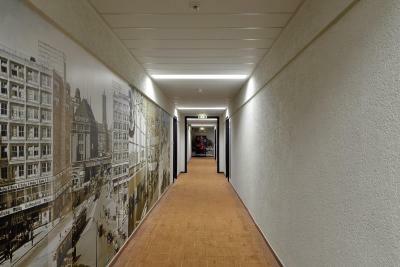 From the outside, the hotel isn't as shiny and impressive as others around it, and looks reminiscent of the 1970s - the walls in the corridors are artexed, and my room was covered with woodchip wallpaper (aside from the striking feature wall). I didn't mind this, as everything was clean and the bedding and towels were fresh, but I could imagine some people finding the decor a little old-fashioned. Breakfast was nice but a little expensive. I was on the top floor and had a really spacious room with its own lobby, and a balcony with a view of the Fernsehturm (TV tower). Had I been in town on business it is the sort of room I could have lived and worked in for several days - it had a large desk, multiple power sockets and separate seating area. 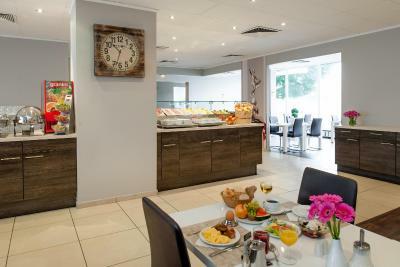 The location of the hotel is conveniently situated near a tram stop, the airport bus stop is just 15 minutes' walk away, and it also was possible to comfortably walk to the Berliner Dom, Fernsehturm and other key sightseeing attractions. 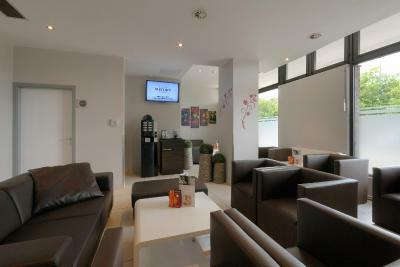 The excellent location, nice staff, clean and comfortable room. 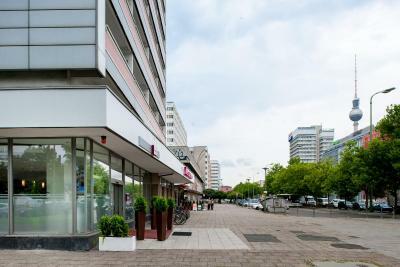 The location is close to Alexanderplatz Banhoff and in front has a tram station. 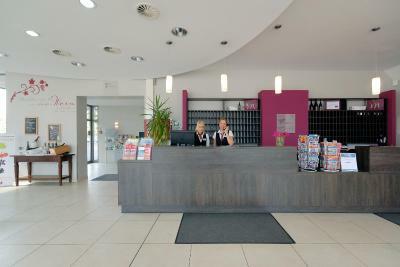 Reception staff were always busy on computers and would always keep you waiting while ignoring you. Eventually they would look up and then deal with your request like you were a problem. The room cleaner never refreshed the coffee/ tea / sugar so I had to ask st reception every day for supplies. The man at the reception was great. The lady, not so friendly. I was also astonished that she insisted I pay for my stay immediately upon arrival, even though they had my Visa credit card to secure the booking. 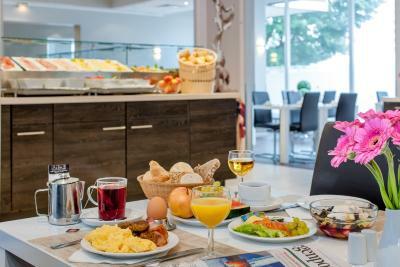 The breakfast: there could be more variety considering the price and the fact that it is not included into the room price. 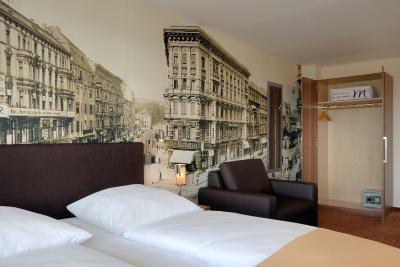 The rooms are beautiful with the sights of old Berlin as wall paper. Really liked that. The rooms were very worn out and the building looked like an old apartment building transformed in to a hotel somewhere in the 90's with very little renewal happening after that. Hotel had a restaurant but I never saw it open other than for breakfast, so having a later dinner means you will need to go find a restaurant somewhere nearby. 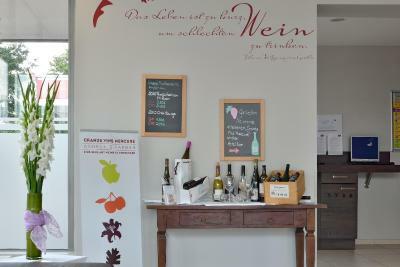 Bar was a bit on the small side but the friendliness of the staff made up for it. 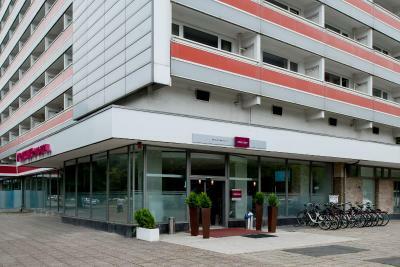 The location is great as this is very close to Alexanderplatz, so it is only a few minutes walk to reach the shops and the railway station. The price per night was very good compared to some of the other hotels nearby. Staff was friendly and always ready to help. 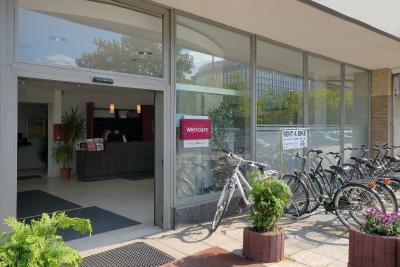 The hotel is located close to public transportation and a 15 minutes walk away from the Museum Insel and Dom. All rooms have balconies which is great if you are a smoker. 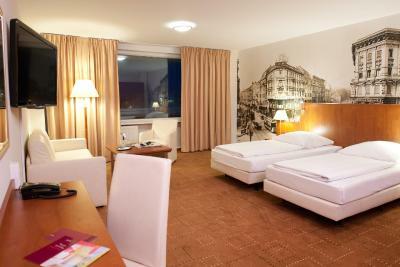 ;) Our standard rooms were newly renovated, spacey and very nicely decorated. The shower was super strong, the beds were excellent and I slept like a rose.. The room was clean, super comfy, with all the necessities.I liked the balcony view. The staff were super friendly.